Matter that falls into a black hole is gone forever, right? Well not quite, says Stephen Hawking. Stephen Hawking told this at a public lecture in Stockholm, Sweden, just yesterday. He also said “If you feel you are in a black hole, don’t give up. There’s a way out.” You possibly know that black holes are stars that have shrunken under their own strong gravity, generating gravitational forces so powerful that even light can’t escape. Anything that falls inside is believed to be torn apart by the immense gravity, never to been seen or heard from again ever. What you may not know is that physicists have been arguing for 40 years about what happens to the information about the physical state of those objects once they fall in. According to quantum mechanics this information cannot be destroyed, but Einstein’s theory general relativity says it has to be – that’s why this disagreement is recognized as the information paradox. Now according to Hawking this information never makes it inside the black hole in the first place. Hawking, just yesterday, said “I propose that the information is stored not in the interior of the black hole as one might expect, but on its boundary, the event horizon,” Hawking is proposing that the information about particles fleeting through is interpreted into a type of hologram – a 2D depiction of a 3D object – that sits on the surface of the event horizon. So the main question is how does that help something escape from the immense gravity of black hole? In the 1970s Hawking presented the idea of Hawking radiation – photons produced by black holes due to quantum fluctuations. In the beginning he said that this radiation carried no information from inside the black hole, but in 2004 he changed his mind and proposed that it could be probable for information to get out. One thing to be mentioned here is that how this escape of information works is still a mystery, but Hawking now thinks he’s solved it. 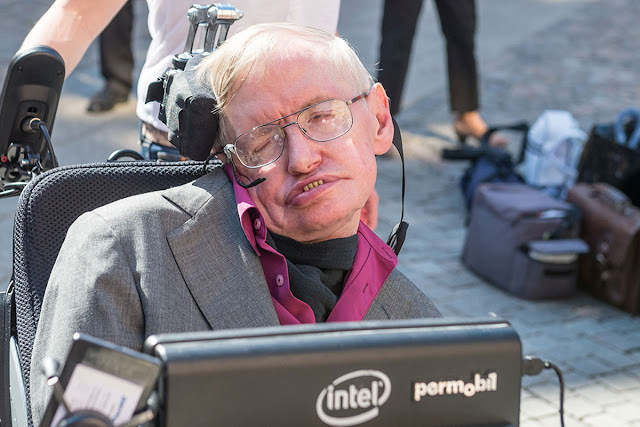 His new theory is that Hawking radiation can carry some of the information stowed on the event horizon as it is produced, providing a way for it to escape. But don’t think getting a message from inside, he said.